A MUST SEE 3 bedroom beautifully upgraded villa in the active adult community of Oakwood in Sun Lakes. This home features plantation shutters, vaulted ceilings, split bedrooms, granite and pantry in kitchen, LG stainless steel appliances, diagonal floor tile with wood laminate in the bedrooms. Enjoy easy living with the HOA doing the exterior maintenance and landscaping. Backyard has covered patio with lush green grass! This villa is immaculate. 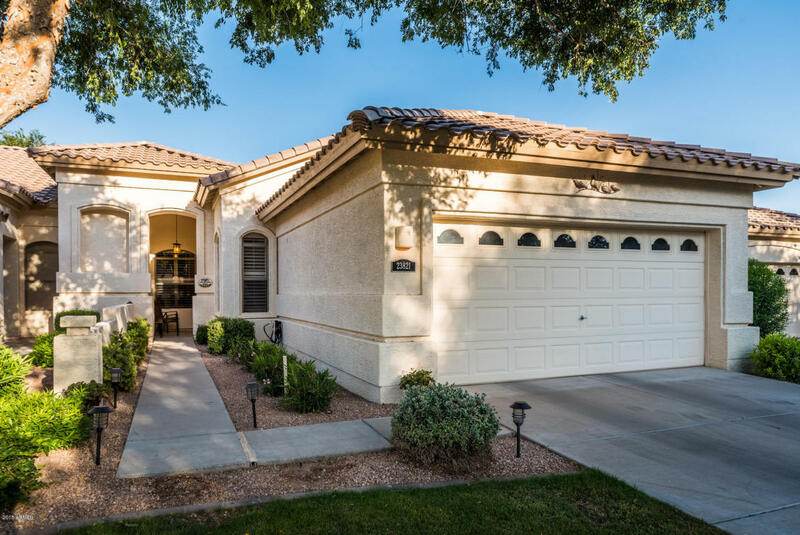 Come enjoy the relaxed living in Sun Lakes!